Frank Press (born December 4, 1924) is an American geophysicist. An advisor to four U.S. Presidents, he later served two consecutive terms as President of the U.S. National Academy of Sciences (1981-1993). He is the author of 160 scientific papers and co-author of the textbooks Earth and Understanding Earth. Press served on Presidential scientific advisory committees during the Kennedy and Johnson Administrations and was appointed by President Nixon to the National Science Board. In 1977 he was appointed President Jimmy Carter's science advisor and Director of the Office of Science and Technology Policy, serving until 1981. Born in Brooklyn, New York, Press graduated with a B.S. degree from the City College of New York (1944) and completed his M.A. (1946) and Ph.D. (1949) degrees at Columbia University under Maurice "Doc" Ewing. As one of Ewing's two assistant professors, (with J. Lamar "Joe" Worzel as the other) Press was a co-founder of Lamont Geological Observatory (now Lamont-Doherty Earth Observatory) in Palisades, N.Y. Originally trained as an oceanographer, Press participated in research cruises on the sailing vessels RV Vema and RV Atlantis. In the early 1950s, Press turned to seismology, co-authoring with Ewing and Jardetzky a seminal monograph on elastic waves in layered media. 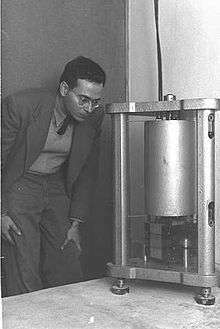 In 1957, Press was recruited by Caltech to succeed founder Beno Gutenberg as director of the Seismological Laboratory, a position in which he remained until 1965. The appointment was controversial in that it passed over both Hugo Benioff and Charles Richter, then the laboratory's senior professors, for a much younger outsider. Press' accomplishments in this period include the design of a long-period seismograph, and the first detection of the Earth's normal modes of oscillation ("bell ringing"), excited by the Great Chilean earthquake, a pioneering application of digital processing to seismic recordings. Press was also closely involved in the construction of a lunar seismograph, first deployed by the Apollo 11 astronauts (see Lunar seismology). In 1965, Press moved to MIT as department head of Earth and Planetary Sciences, where, with significant support from philanthropist Cecil H. Green, he revitalized by new hires what had been an overly traditional geology department. He remained at MIT until 1976. During this time, his work included collaborations with Vladimir Keilis-Borok and Leon Knopoff on computer pattern matching techniques that could be applied to earthquake prediction. In 1976, Press became science advisor to President Jimmy Carter and director of the Office of Science and Technology Policy. In 1981 he was elected president of the U.S. National Academy of Sciences. Re-elected in 1987, he served for a total of 12 years. In 1996, Press co-founded WAG (the Washington Advisory Group, later known as the Advisory Group at Huron), a global consulting company with clients that included some fifty leading universities. WAG played a notable role all phases of the founding of King Abdullah University of Science and Technology (KAUST) in Thuwal, Saudi Arabia. Press chaired that university's international advisory committee until 2010. Press is the recipient of 30 honorary degrees. Named in his honor are Mount Press, in the Ellsworth Mountains, Antarctica; and Osedax frankpressi, a species of whalebone-eating marine worm. Earth (ISBN 0716717433) by Press, Frank., Siever, Raymond. W.H. Freeman, c1986. "Probing the earth with nuclear explosions" by Griggs, D. T., Press, Frank., Rand Corporation. (1959) Issued by the Lawrence Radiation Laboratory as UCRL-6013. American Institute of Physics, "Frank Press", Array of Contemporary American Physicists. American Institute of Physics, Niels Bohr Library and Archive, "Oral History Transcript -- Dr. Frank Press"
Greenberg, Daniel S. (1979). "Interview: Frank Press". Omni (June 1979). SEG Virtual Geoscience Center, "Biographies: Frank Press"